DocuSign’s annual conference shifts focus to System of Agreement. There are certain milestones in your life that help you track the years, but some are more significant than others. At eOriginal, the DocuSign Momentum customer conference is one of those annual milestones and this years’ event is just a bit more special. Just weeks after DocuSign’s IPO, customers and partners will gather with the eSignature firm on June 20 and 21 in San Francisco to discuss the next stage of the company’s evolution. As a partner for more than a decade, eOriginal has seen that evolution first hand, and we are excited to see the company expand and move beyond electronic signature to focus on the modern System of Agreement. The dynamic DocuSign team’s commitment is to provide “insights, inspiration, and networking to take advantage of all that’s possible, next, and new with DocuSign.” Attendees at this year’s event will focus on learning how to accelerate their company’s digital transformation, while understanding the full range of DocuSign solutions, including integrations with eOriginal and other business applications. 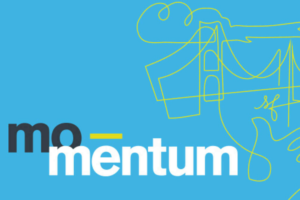 We are regular sponsors and speakers at DocuSign Momentum, and it’s safe to say that we can’t wait to touchdown in San Francisco. We invite you to come see us at the “System of Agreement Dome”, where we are a featured partner and will be staffing a kiosk. As DocuSign and its customers adopt this System of Agreement, eOriginal is at the center of this system, especially in financial services, banking and lending. At the eOriginal kiosk under the “Dome,” we will be discussing client success stories and be sharing demos on how we integrate into the DocuSign system. Want to see a demo or a meeting with one of our experts? Schedule a time now.